Think for a minute about the average workday in the life of your employees, or even your own daily schedule. Do you check your work email over breakfast? How about during your commute (obviously not while driving, of course)? Do you check on a few things over your lunch break away from the office, or after you get back home at the end of the day? The majority of today’s workforce would answer “yes” to at least one of these questions; the cubicle walls are no longer the boundary of doing business. Instead, company data can be transmitted anywhere, to virtually any personal mobile device... and yet, many customers still aren’t sure why they need MDM. 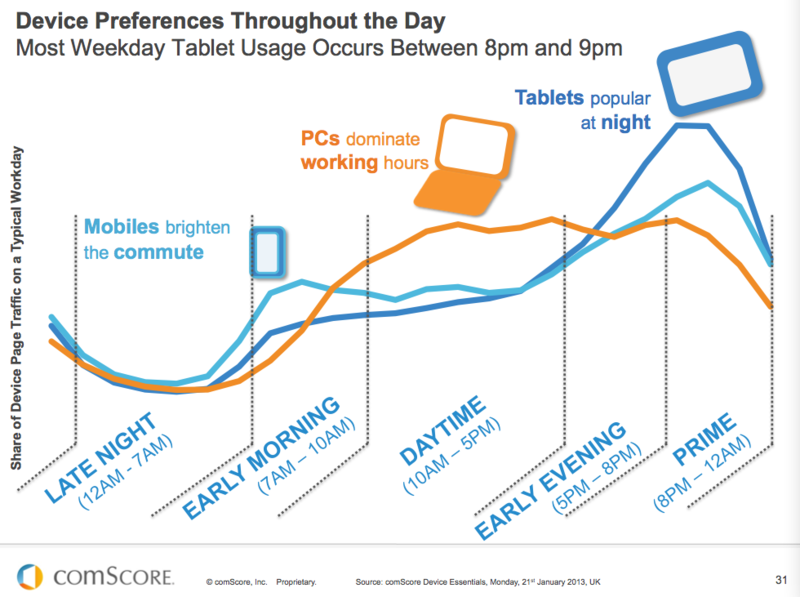 The average person in the US carries 3 devices, and they’re using those devices all throughout the day. Wearable technology is also on the rise, like Google Glass and the Samsung Smart Watch, which add new layers of devices that companies need to account for. There is huge potential for MSPs when it comes to Mobile Device Management, however many MSPs struggle to sell these services to end users. 29% of people report that half of their time (or more) is spent using their mobiles for work. 56% of respondents report an increase in using their mobile phone for business over the past 3 years. 52% of respondents believe that they will increase their use of mobile phones for business in the future. The BYOD market is expected to grow to $181.39 Billion by 2017, up from $67.21 Billion in 2011. Wearable tech and the Internet of Things add even more considerations into the equation. Check out this awesome infographic from MaaS360 about wearable tech in 2014. It's clear that mobile devices are here to stay, and will only become more engrained in our working habits. Yet, many companies are still slow to adopt mobile device management. Chris Clark, President and COO of Fiberlink, recently spoke at a conference on how he feels that MDM is still underappreciated and underused. In fact, a study released by Infonetics found that almost half of IT decision-makers surveyed relied solely on the mobile operating systems themselves for management and security. Clark voiced his concern over this approach, stating, "If you thought you knew the operating system, just wait two weeks until the next version is introduced." Your clients need convincing when it comes to utilizing and implementing MDM solutions. To that point, we’ve pulled together 3 tips for selling MDM to your clients. Employees are doing more work out of the office than ever before. This is great for productivity, but the scale of risk for loss of data and security breach increase dramatically when data leaves the office. The more devices you have accessing your data, the more potential entry points you create for viewing secure information. It is a must to educate your current and future clients of the extreme risk they are facing when they can no longer control where data is being taken. MDM allows companies to better control data access to remote devices, whether that’s a cell phone, tablet or laptop. Educate your clients and your prospects on the importance of setting MDM policies and best practices for how to do so. Provide real life examples of how mobile devices have led to security breaches, and how they can avoid the same situation. Even if companies allow their employees to bring their own devices to work (BYOD), which has become increasingly popular, they still need a MDM solution that can control the information flow to these devices and reduce the risk. Companies need set policies for mobile devices, and it’s up to MSPs to educate and consult with their clients on best practices for MDM. In order to sell MDM services, you have to establish a need for these services – and the first step is educating them on the topic. Information compliance can help a great deal when trying to sell MDM. This is a big selling point for companies who need to stay compliant with security regulations, and this point is a good introduction for getting the conversation started. Without incorporating proper security, accessing sensitive data from mobile devices may violate any applicable regulations your clients should be following; this could occur from an action as simple as downloading a sensitive email attachment to a personal tablet. It’s essential to maintain secure protection over company information, and MDM is the ideal solution to ensure that your clients can meet this goal. MDM gives you the ability to lock down devices the moment they are misplaced or stolen, as well as remote data wiping and GPS tracking. Companies cannot risk having their information leaked; using a MDM service will give them peace of mind and help them maintain their compliance with information security standards. It’s always easiest to lead by example, and that applies to MDM services as well. If you yourself provision and monitor the devices your own techs use, this demonstrates a clear endorsement of the product. Not only does it endorse the product, but it endorses the need for having a MDM solution in place. It also allows your techs to become familiar with the MDM software so they are more efficient using the solution for your clients. Using MDM yourself may even be a prerequisite for you to serve your clients. If your techs have access to their data, that only furthers the need for a MDM solution. It’s important to practice what you preach, which is why it’s a good idea to use MDM for your own devices as well. As a MSP, it’s important to think about always adding value; this is a primary reason why every MSP must offer MDM. Don’t just tell your clients that they need MDM, but show them the value that it delivers to their business and for controlling information access points. Ultimately, you need to offer your clients a solution to their needs, and including MDM as part of your service offering can play a key part in scaling your MSP business. Mobile devices have changed the way we communicate and conduct business, and companies need to adapt to this sea-change in behavior. Are you ready to provide them with the tools to effectively and securely manage their devices?